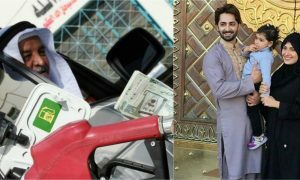 Propaganda Against Saudi Arabia As Viral 'Card Game' Conducted By Cleric Is Sport Not Gambling! 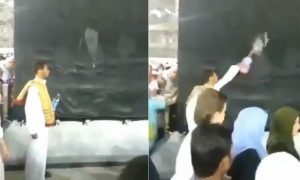 If you are on the interwebs very often, you must have noticed that for the past few days, pictures and videos of Saudi Arabia have been going viral, where a renowned Saudi Cleric conducted a ‘card-game’ tournament, attended by thousands of people of the country. The propaganda has been real, as people have been dubbing the card-tournament as Saudi Arabia’s first gambling den. 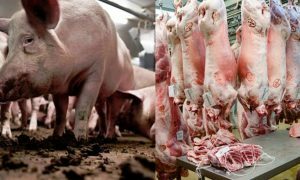 Here’s the truth you need to know about the viral videos and pictures. 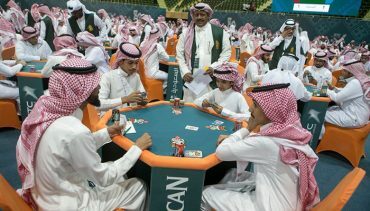 As per news from Saudi media, almost 12.000 people gathered to attend Saudi Arabia’s first card-tournament, and the game is known as ‘Baloot’. There is no gambling involved as the game is more of an international sport and does not involve players exchanging money, as it is done in gambling games. The 4-day event of the Baloot Championship is offering a total prize of one million Saudi riyals ($270,000) for the top four teams. Sheikh Adel al-Kalbani, a senior Muslim cleric, was the host of the event on its opening day, and many have criticized his attendance in the tournament. The games are being held at the King Abdullah Petromelum Studies and Research Center in Riyadh. “Baloot” is an old Arabian card game, similar to the French version called “Belote” and is quite popular with the people of Saudi Arabia. The competition is getting a lot of attention in the Middle East because of its massive prize pool. The recent wave of modernization in Saudi Arabia has forced people to believe anything they see on the internet. For a few days now, people have been slandering Saudi Arabia for its over-modernization, stating that the country under Muhammad Bin Salman was going out of Islamic bounds, opening its first casino. People need to realize that there are hundreds of other card games, that do not involve gambling money. In most parts of the world, card games are though of as sports, where the deck of cards is used like sports goods, such as a bat, ball or a football. Apart from this particular incident, Saudi Arabia has opened its gates to modernization, with the country planning on conducting at least 5000 festivals and concerts in 2018. The motive of this newfound modernization is to boost tourism and a sense of economic development, when the country finally runs out of oil, following a similar pattern of the United Arab Emirates. Later this month, Saudi Arabia will also be opening its first ever cinema, a move that has widely been criticized around the Muslim world. However, food for thought here is that the countries criticizing Saudi Arabia for its modernization, are the same that do not miss out on a single chance to do it themselves.